The incredible lineup from Subaru is so full of outstanding vehicles that choosing the best one can seem overwhelming. 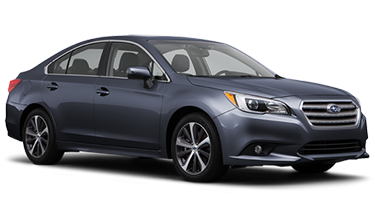 Since no one knows Subaru vehicles like Carlsen Subaru in Redwood City, CA, the following side by side comparison between the base models of the Outback and Legacy has been developed. Take a look through this analysis to get a better idea of the specific needs each vehicle caters to. Once the research is done, be sure to come by Carlsen Subaru to gain a first hand appreciation for each vehicle and take advantage of the many superb deals available. The primary difference in the design between these two admirable vehicles is that the Outback is an adventurous midsize crossover SUV where the Legacy is one of the most capable 4-door sedans on the market. With this in mind, the Outback is clearly larger vehicle providing much more cargo room. The Legacy has an impressive amount of cargo room for a sedan at 15 cubic feet and the 60/40 split fold down back seat allows even more versatility for accommodating both passengers and cargo. Those who often find need of a vehicle that can carry more than a sedan may prefer the 35.5 cubic feet of cargo volume in the Outback. Each vehicle is an industry leader in all round visibility with large windows, big mirrors, and roof pillars that are not too wide. Subaru is so good at designing their vehicles with superior visibility that the first 3 vehicles listed on Consumer Reports 'Best Cars For Visibility' are all made by Subaru. The Outback and Legacy each come standard with a backup camera that is not only a matter of greater safety and visibility but convenience as well. The Outback offers what is known as a command driving position. Aided by a substantial 8.7 inches of ground clearance and being a larger vehicle, the Outback allows the driver to be seated in a higher position which some may prefer to that of the Legacy with a driving position comparable to most sedans. To best determine which vehicle best fits individual needs, come by Carlsen Subaru where the short drive from Oakland, CA will be well worth it. Subaru is widely recognized as the vehicle of choice for all round performance. Both the Outback and the Legacy come with the world renowned Subaru symmetrical all-wheel drive system that provides unprecedented traction on any surface. From winter recreation trips to the Sierra Nevada mountains to emergency maneuvers in hectic Bay Area traffic, this all-wheel drive system is certain to keep all wheels firmly planted and pointed in the right direction. Each vehicle is also equipped with the extraordinary Boxer engine which is flat with horizontally opposed cylinders that naturally cancel out engine vibrations. This not only makes for one of the smoothest running engines on the market but also allows for a lower center of gravity than other vehicles. This low center of gravity provides superior handling that affords a driving experience that is both exciting and engaging. Though each vehicle is equipped with the same 2.5L Boxer engine, the Legacy does maintain a slight advantage in fuel mileage due to a lighter curb weight and less wind resistance. The innovative design of the Boxer engine does accommodate outstanding fuel mileage for both vehicles and the Outback is America's most fuel efficient midsize crossover. The Outback will perform better for those who often find themselves on the road less traveled with its towering 8.7 inch ground clearance. The unpaved trails leading to that secluded getaway will not stand a chance against the Outback and of course the added cargo room will make sure that no gear gets left behind. The Legacy is also outstanding for traveling on any road but since it is a sedan, the rocky roads are likely best left to the Outback. Take the quick run south from San Mateo, CA to test drive each of these wondrous vehicles and then determine which one is perfect at Carlsen Subaru. Subaru has put safety as the central focus of everything it builds. This devotion to safety has recently earned Subaru more IIHS Top Safety Picks than any other manufacturer. 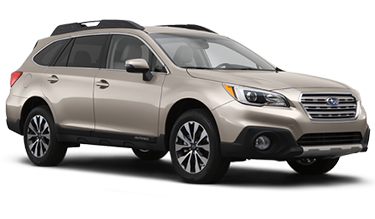 The Outback and Legacy are no exception and have both earned IIHS Top Safety Pick Plus honors which means they met or exceeded the most rigorous safety requirements in the industry. The brilliant engineering behind this unmatched safety starts at the very beginning with a ring shaped frame designed to absorb and dissipate the energy transfer from a collision so the vehicle's occupants don't. This innovative frame is the foundation of a wide variety of intelligent features like the available blind spot warning system and the cutting-edge Subaru EyeSight system that can detect and prevent imminent collisions. Subaru has emerged as the safest vehicles on the road with the realization that the safest accident is the one that never happens. The Outback and Legacy each come with standard features like the StarLink infotainment system that has been hailed by critics across the industry, to include those at PC Magazine, as one of the most user friendly infotainment systems available. StarLink keeps drivers connected and not distracted with a vast array of features like Bluetooth audio streaming, convenient steering wheel controls, and a high resolution touch screen. Make the beautiful drive across the bay from Fremont, CA to learn more about these amazing vehicles at Carlsen Subaru today and save big. At Carlsen Subaru in Redwood City, CA we offer one of the largest selections of new Subaru vehicles in the Bay Area and we always put the needs and concerns of customers first. In our endless endeavor to satisfy every customer, we make sure to also keep a wide variety of quality used vehicles in stock so our knowledgeable sales consultants can offer vehicles for every need. Conveniently located just south of San Mateo, CA, Carlsen Subaru knows that the rigors and demands of Bay Area travel can take its toll on a vehicle which is why we also provide a state-of-the-art service facility with regularly updated specials to further help our customers. Our factory trained technicians are able to handle most service and repair jobs quickly and conveniently with the help of our well stocked parts department. Take the short drive across the bay from Fremont, CA and visit us at 480 Veterans Blvd, Redwood City, CA 94063. Our exceptional sales department is happy to answer any questions and set appointments over the phone at (888) 520-5916.